The cooperative movement has its deepest roots in Europe, where over 80,000 worker cooperatives employ over a million members. In Japan, the Seikatsu network of producer and consumer cooperatives includes over 200,000 families. More recently, in Venezuela the establishment and support of worker co-ops is a lynchpin of President Hugo Chavez's economic program to build a new participatory socialism for the twenty-first century. In mid-2006, the Venezuelan government reported that it had registered over 100,000 co-ops with over 1.5 million members, up from fewer than 800 cooperatives (with roughly 20,000 members) when Chavez was elected in 1998. Not only is the government using generous amounts of oil revenues to finance the creation of thousands of new co-ops every month, it has organized a massive effort to provide the training, technical assistance, and other resources cooperatives need to ensure their success. In the United States 10 million Americans work in companies with programs known as "employee stock ownership plans" or ESOPs, but there are only 400 true worker-owned cooperatives where the companies are owned entirely by their employees under one-employee one vote rules of management. Even here, though, efforts to increase ties among socially minded cooperatives and to facilitate the co-op sector's growth have recently accelerated. Several regional conferences in 2002 and 2003 helped lay the groundwork for the first national conference on worker ownership, held in Minneapolis in 2004. Conference participants founded the U.S. Federation of Worker Cooperatives, which held its first official membership meeting in New York City last fall. But there is a problem: Will worker-owned cooperatives behave in socially responsible ways that promote economic justice, or when forced to compete with capitalist firms and each other in goods and labor markets ruled by the laws of supply and demand will they abandon their cooperative principles and replicate the anti-social behavior of capitalist firms? Three problems arise when worker-owned cooperatives sell the goods and services they produce and buy the inputs they need, including labor, through markets where the laws of supply and demand determine the terms of exchange. The first problem is that market prices generally fail to represent both the true social opportunity costs of producing goods and services as well as the true benefits to society of consuming them. Consequently, individual worker cooperatives constantly face the following dilemma: Should we produce those goods that truly benefit society the most, and produce them in ways that minimize opportunity costs to society? Or, should we produce those goods that generate the largest profit for our co-op, and produce them in ways that minimize commercial costs to the co-op? Because markets systematically fail to account for positive and negative externalities, and because markets weigh needs and preferences of consumers according to how much wealth a person has, unfortunately the answers to these two questions are not the same. If a co-op tries to maximize net social benefits, i.e. if they "do unto others as they would wish others to do unto them," the co-op can remain true to cooperative principles. But a socially responsible co-op risks being competed out of business by capitalist firms whose stockholders insist on maximum profits, or even by other cooperatives that are less socially minded. On the other hand, if a co-op concentrates on maximizing its profits it stands a better chance of protecting its financial viability. But a co-op that emphasizes commercial success risks doing so at the expense of violating cooperative principles which call for socially responsible behavior. Unfortunately this problem -- markets reward socially irresponsible producers and penalize socially responsible producers -- cannot be solved by a group of cooperatives by themselves. No group of cooperatives operating inside a market system where they form only part of the economy can do much to correct the biases that permeate market prices. The second problem is that when individual producer cooperatives must compete to hire workers in labor markets ruled by the laws of supply and demand it is difficult for them to pay their members fairly. In my view fairness does not require equal pay for all members. If a member works longer hours, or performs tasks that are more dangerous or boring than other members, I believe it is only fair that he or she receive compensation commensurate with his or her greater effort or sacrifice. But pay differentials reflective of differences in effort or sacrifice are quite different from the differences in wages and salaries generated by labor markets. The law of supply and demand in labor markets will generate a much higher wage rate for a board certified anesthesiologist than for an unskilled construction worker even if the construction worker works harder under more dangerous circumstances. As long as most who work elsewhere are compensated according to how much an additional hour of their labor increases the revenues of their employer, or what economists call the "marginal revenue product" of their labor, it will be difficult for any individual worker cooperative to reward its own members according to their efforts and sacrifices without risking losing its more highly skilled members to other employers who will pay them more even if their efforts and sacrifices are only average. So achieving equity within co-ops is very problematic as long as co-ops must compete for members in a labor market where the hiring practices of most employers lead to prevailing wages that are more reflective of differences in productivities than differences in efforts or sacrifices. Unfortunately, like the first problem, there is little individual worker cooperatives can do to solve this problem except to try to convince more skilled workers to accept less than they could get elsewhere because that is what is fair. The third problem is that when worker cooperatives trade goods and services among themselves at prices generated by the laws of supply and demand they perpetuate, and thereby validate preexisting inequities among them. This problem of equity among co-ops is different from the problem of equity within co-ops. Larger, more established cooperatives, cooperatives with more or better equipment, and cooperatives with more highly educated or skilled members are generally able to reward their members more, on average, for their efforts or sacrifices than less advantaged cooperatives can. While we are conditioned to accept this as natural and unobjectionable, it is not fair when workers in less advantaged co-ops -- through no fault of their own -- receive less for their efforts and sacrifices than workers in more advantaged co-ops. Fortunately this problem is more amenable to solution than either of the first two problems. Even a small group of cooperatives can begin to tackle the problem of inequity among them even while the market system persists. Any group of "primary" worker-owned cooperatives could establish what we might call a "cooperative mutual aid association" (CMAA), to strengthen themselves individually while deepening equitable relations among them. Among the steps a CMAA could take is to create an "export-import cooperative" (EIC) to sell the goods and services produced by the association's primary cooperatives to buyers outside the association, and to purchase goods and services from sellers outside the association for the member cooperatives. The EIC would be what is commonly called a "secondary cooperative" --a cooperative whose members are themselves cooperatives. Japan emerged from the ashes of World War II to become the world's exporting superpower. Some of this success was due to export-import trading companies that provided international marketing services to individual Japanese companies associated with an industrial conglomerate known as a zaibatsu or keiretsu. For decades, markups on Japanese exports sold by export-import companies were typically five times lower than markups by U.S. multinational companies exporting individually --obviously a boon for Japanese exports. An EIC that markets products or services would enjoy economies of scale compared to the marketing capacities of individual primary co-ops. Dealing with large volumes and benefiting from economies of scale would allow the EIC to: (1) introduce primary co-op goods and services into markets they could never hope to reach individually; (2) reduce markups and thereby expand sales without lowering the prices received by primary co-ops; and (3) pass on the advantages of being a large buyer to primary co-ops in the form of lower prices for goods and services they need as inputs. In effect, both true marketing economies of scale and the market power that oligopolies and oligopsonies enjoy should allow an EIC to generate a financial gain for the CMAA as a whole. The next step is to distribute this collective gain equitably among the primary cooperatives. The simplest way to distribute the collective gain from EIC activities would be to pay every primary co-op the same price for a particular good--the price the EIC received minus the same (small) markup to cover the EIC's expenses-and to charge every primary co-op buying a good the same price --the price the EIC paid minus the same EIC markup. This pricing rule would distribute the collective gain from EIC activities equally among the member co-ops but would do nothing to narrow the gap in compensation for equal effort between the more and less advantaged primary co-ops in the CMAA. In other words, while using the same prices for all member co-ops might appear to be fair at first glance, in fact it would perpetuate pre-existing inequities among members, and therefore fail to advance the cause of equitable cooperation. What is needed is a way to distribute more of the gain from EIC activities to the less advantaged co-ops in a CMAA and less of the gain to the more advantaged co-ops. In other words, to build more equitable relationships among member co-ops, the EIC should pay higher prices to less advantaged co-ops and lower prices to more advantaged co-ops when they sell their goods through the EIC, and charge less advantaged co-ops less and more advantaged co-ops more when they buy goods through the EIC. There are many ways to calculate an index that would measure the relative economic advantage of each primary co-op, taking into account factors such as co-op members' average hourly wage and the average value of benefits, the dollar value of the co-op's assets per member, the number of years the co-op has been in operation, co-op members' average educational attainment, and some rating of how difficult or disagreeable the work is on average. Once the CMAA had constructed a relative economic advantage index, it is not difficult to construct a pricing formula that would satisfy the goal of distributing the gain from using the EIC in a way that diminishes inequities among an association's member co-ops. An Export-Import Co-op using equitable pricing rules like the ones described above can be used to good advantage by any group of cooperatives. They do not have to be in the same industry or located close together geographically. 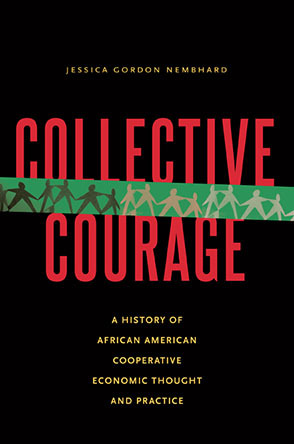 The more cooperatives participating in a group the better, but the approach can be used by any number of co-ops that choose to form a cooperative mutual aid association, no matter how few or how many. While I know of no network or association of worker cooperatives that adjusts prices to promote equity among its member co-ops, it is not uncommon for associations of cooperatives to provide credit on better terms to the lesser advantage cooperatives among them. Besides technical assistance and advice, this is the primary way that the Caja Laboral, a secondary banking cooperative in the Mondragon cooperative network in Spain, helps lesser advantage cooperatives. But adjusting prices -- as I have suggested here -- can be a better way to combat inequities among cooperatives than providing credit on differential terms. Inefficiencies result when differential terms of credit steer loans to lesser advantaged co-ops where it raises productivity less than it would have raised productivity in some more advantaged co-op within the association. In other words, when a secondary banking co-op uses differential terms of credit to combat inequities it often creates efficiency losses within the association as a whole. A secondary EIC cooperative can combat inequities through price adjustments without generating inefficiencies. Robin Hahnel is a professor of economics at American University. He is The author of The ABCs of Political Economy (2002) and Economic Justice and Democracy: From Competition to Cooperation (2005), and the co-author of several books on participatory economics.